Everybody wants to workout and get in better shape. So lets get them to workout at your gym! 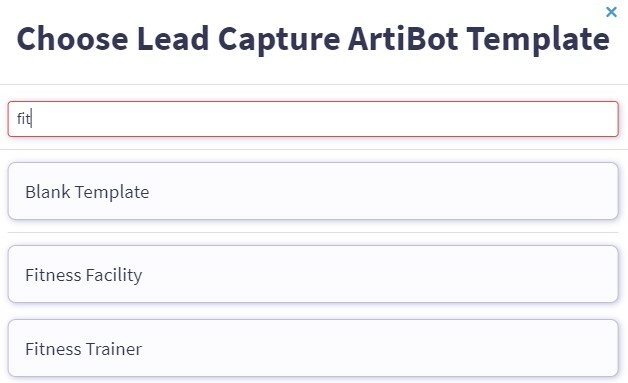 ArtiBot is here to help make that happen with our AI-powered chat bots. 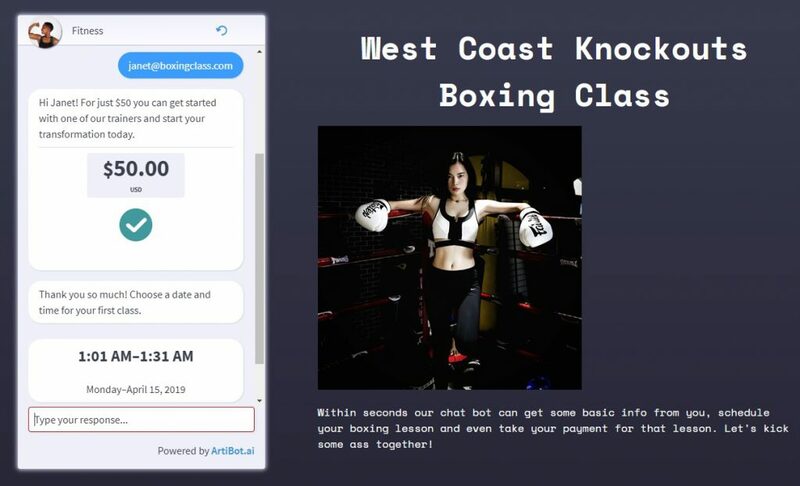 We designed ArtiBot with gym owners, fitness facilities and fitness trainers in mind. 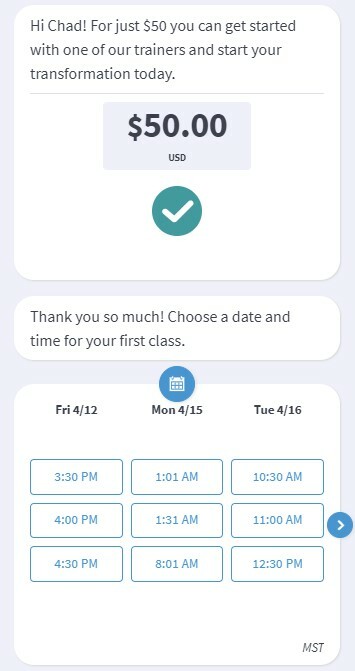 ArtiBot.ai lets you make a chatbot that can schedule a workout session with a client, allow them to pay you in advance for that session or for a membership and also provide any personal info you want from them in order to follow up on that lead. What’s great about the calendar feature above is that it can connect to a Google Calendar with just a few clicks. 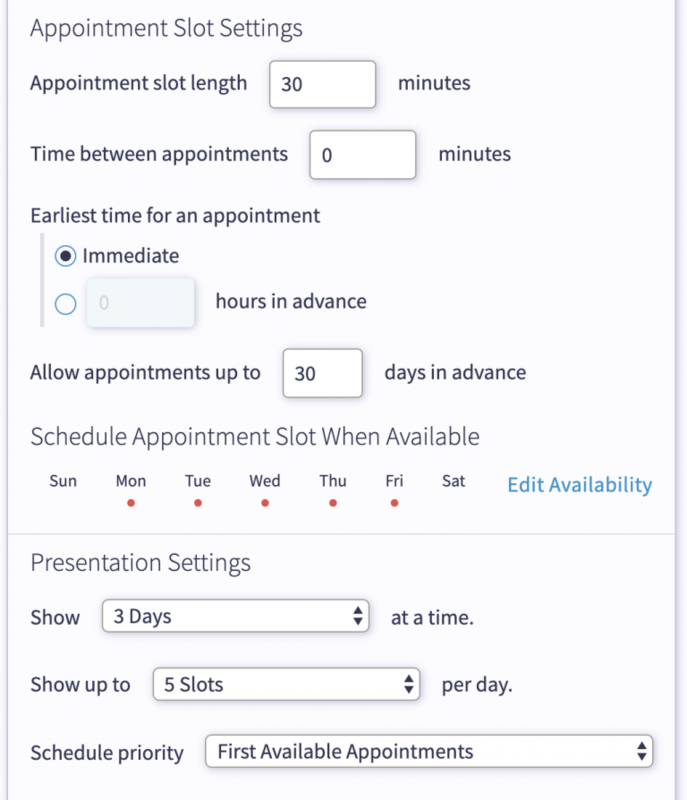 This means when clients go to schedule a time with you, it knows when you have open time slots and when you’re busy. You determine how long these sessions are blocked out for and can even provide a time of availability. Wait, did we really say earlier that you can collect payments for your services inside of the bot itself? Yes… yes we did. This means before someone even takes your Yoga class, they can pay you up front for it to confirm their participation. We integrate with Stripe so you can easily configure how much you want to charge based on the service they select and accept payment immediately. Also, let’s not forget that everything we just showed off above is available completely free. So you can quickly and easily (and FOR FREE!) 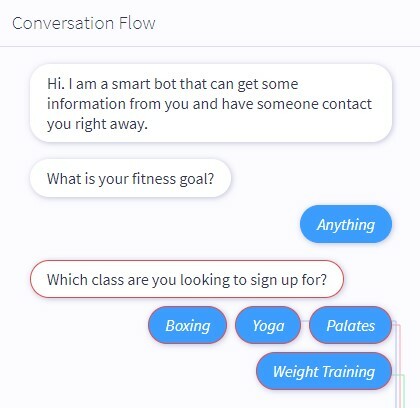 create a ChatBot designed perfectly for fitness trainers or your Gym website right freaking now. Sign up for your free account at ArtiBot.ai. From your ArtiBot dashboard, click the Add ArtiBot icon. A red arrow will be pointing to the button. A list of available bot templates shows up. We have made several templates that can help get you started or you can start from scratch. Scroll down or search for the Fitness Facility or Fitness Trainer options and select one. Now you’ll see your bot conversation. You can go through the entire flow to edit any text, add/edit the questions and customize the images and color of the bot from here. Once you have your bot setup and customized to your liking, click the Publish button at the top so it can get added to your website. Now that you have your bot created and on your site, here are a few things you can do to really make leads start rolling in. Check out the Settings tab for your bot to see where you can change the color of the collapsed bot image, change the location of the bot and even add your personal or company image into the bot so they know who they are leaving their info with. Just one more thing… what are you waiting for? Create your Fitness ArtiBot today completely free and start turning your website visitors into instant leads!